We have created this portal with educators in mind. You will find character excerpts that can be shared in the classroom from our documentary MY ITALIAN SECRET: The Forgotten Heroes. In addition, you will find six lesson plans that can be utilized in the classroom. Our purpose is to foster a deeper understanding of the role that individual Italians played in saving Jews in Italy during the Holocaust. We are committed to educating students about these stories of courage and survival so that future generations can learn that goodness can prevail even in the midst of one of history's worst genocides. These lessons are a journey through time which stress individual choices that made survival possible. 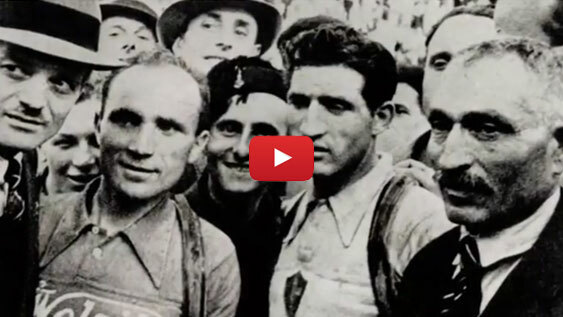 MY ITALIAN SECRET: The Forgotten Heroes is a feature length documentary that tells the story of courageous Italians, including sports idol Gino Bartali, who carried out ingenious schemes to rescue and protect Jews in Nazi-occupied Italy. Although Gino Bartali is a sports legend, his most daring triumph came when he risked his life countless times to save Jews threatened by Nazi extermination. The story of Bartali and the secret network of which he was a member, is just one example of the heroism exhibited by thousands of ordinary Italians who risked their lives to save others from capture and death. As an entire continent was engulfed in a genocide, which took the lives of most Jews in Nazi-occupied Europe (11 million people perished, including 6 million Jews), approximately 80 percent of Italy’s Jews survived. Bartali, like most of the rescuers, never sought recognition or reward. Few of those he helped knew his name or what role he played in their rescue. In addition to Gino Bartali, thousands of conscientious individual Italians risked their lives in order to assist people who in many cases were complete strangers. Most of these heroes never spoke of their courageous deeds. MY ITALIAN SECRET begs the question: Would you risk your life to save a stranger and then never talk about it? Gino Bartali** - Gino was a famous cyclist who risked his life to assist and shelter Jews under German occupation. He hid false papers in the frame of his bicycle and transported them from Cardinal Dalla Costa to the Bishop of Assisi where Jews found sanctuary. 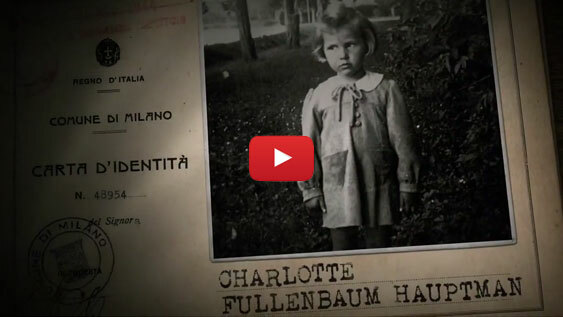 Charolette Hauptmann - Charlotte returned to Italy with her grandson because she wanted him to know her story. 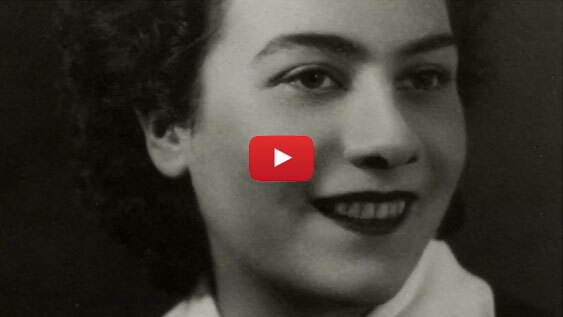 Charlotte’s family left Germany in 1938 after Kristallnacht, and she was born in Italy. The family lived in Milan for approximately two years, and then they were sent to the Ferramonti internment camp. Ursula Korn Selig - Ursula is a German Jew who went to Italy with her family in 1935. She and her family were protected by Monsignor Schivo who hid her father in the countryside. Ursula and her mother were dressed as nuns and lived in a convent. Gaia Servidio - Gaia’s father was a successful Director in a factory in Padua and was well respected in Italian society. Once the Racial Laws were enacted, her father lost his position not only in the factory but also in Italian society. Gaia’s nanny had a friend who warned the family of danger, and they fled. Piero Terracina - Piero described how at first his family was able to hide in Rome. However, when his sister rebuked an Italian man, he betrayed them, and the entire family was sent to Auschwitz. Dr. Giovanni Borromeo - Dr. Borromeo was director of a hospital in Rome. He invented a mythical disease called “K” to deceive the Germans and save Jews. He hid Jews in the hospital and told the Germans that there was a very contagious and incurable disease called “K” in the hospital, which resulted in the Germans deciding not to enter the hospital. Yad Vashem has posthumously recognized Gino Bartali from Italy as Righteous Among the Nations. Bartali was a champion cyclist and a beloved public figure. During the German occupation of Italy (beginning in September 1943), Bartali, a devout Catholic, was part of a rescue network spearheaded by Rabbi Nathan Cassuto of Florence together with the Archbishop of Florence Cardinal Elia Angelo Dalla Costa (previously recognized as Righteous Among the Nations). This Jewish-Christian network, set up following the German occupation of Italy and the onset of deportation of Jews, saved hundreds of local Jews and Jewish refugees from territories which had previously been under Italian control, mostly in France and Yugoslavia. Gino Bartali acted as a courier for the network, secreting forged documents and papers in his bicycle and transporting them between cities, all under the guise of training. Knowingly risking his life to rescue Jews, Bartali transferred falsified documents to various contacts, among them Rabbi Cassuto. Gino was a famous cyclist who risked his life to assist and shelter Jews under German occupation. He hid false papers in the frame of his bicycle and transported them from Cardinal Dalla Costa to the Bishop of Assisi where Jews found sanctuary. Charlotte returned to Italy with her grandson because she wanted him to know her story. 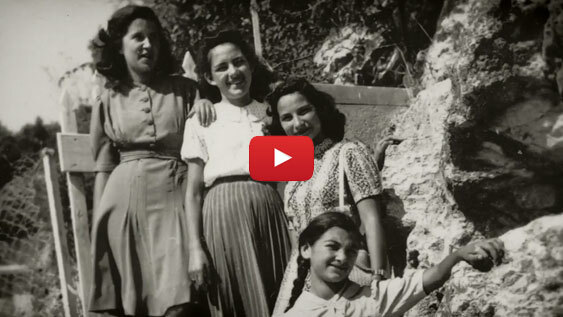 Charlotte’s family left Germany in 1938 after Kristallnacht, and she was born in Italy. 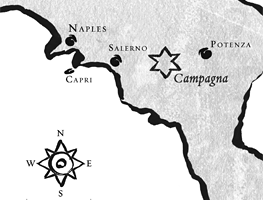 The family lived in Milan for approximately two years, and then they were sent to the Ferramonti internment camp. Ursula is a German Jew who went to Italy with her family in 1935. She and her family were protected by Monsignor Schivo who hid her father in the countryside. Ursula and her mother were dressed as nuns and lived in a convent. Dr. Borromeo was director of a hospital in Rome. He invented a mythical disease called “K” to deceive the Germans and save Jews. He hid Jews in the hospital and told the Germans that there was a very contagious and incurable disease called “K” in the hospital, which resulted in the Germans deciding not to enter the hospital. Piero described how at first his family was able to hide in Rome. 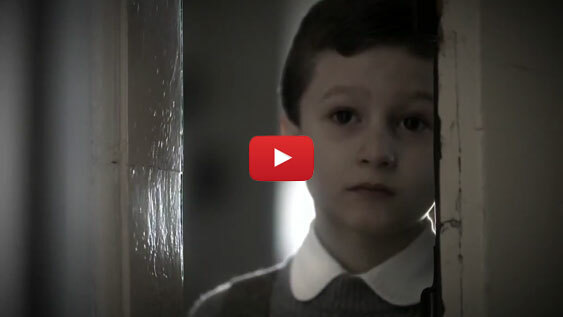 However, when his sister rebuked an Italian man, he betrayed them, and the entire family was sent to Auschwitz. Gaia’s father was a successful Director in a factory in Padua and was well respected in Italian society. Once the Racial Laws were enacted, her father lost his position not only in the factory but also in Italian society. Gaia’s nanny had a friend who warned the family of danger, and they fled. Social Studies Lesson Plans (Lessons 1-5) were created by Barbara Bernard, Director of Education for the Italy and the Holocaust Foundation. After teaching social studies in the Kings Park School District for 32 years, Ms. Bernard continues to share her expertise by supervising student teachers at Hofstra University, SUNY Oneonta, and SUNY Old Westbury. Aim: How do individuals and groups identify and demonstrate their “universe of obligation”? 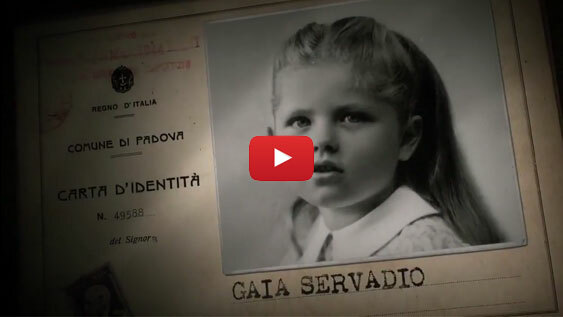 Information/Content to be covered: My Italian Secret: The Forgotten Heroes of the Holocaust is a feature length documentary. The Excerpts to be viewed provide insight into the stories of desperation and courage. Also explored is the concept of “universe of obligation” (how some viewed their obligation to help those in need). 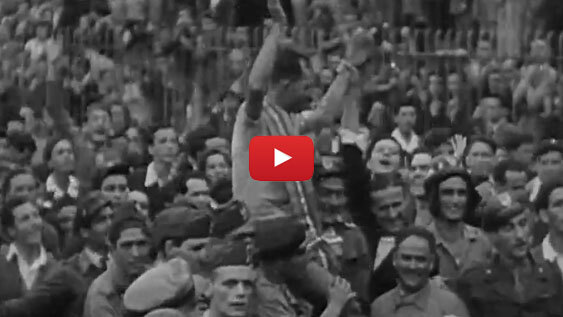 Aim: To what extent were Gino Bartali’s efforts to save Jews during the Holocaust successful? Information/Content to be covered: Gino Bartali was a famous cyclist who risked his life to assist and shelter Jews during the German occupation of Italy. He hid false papers in the frame of his bicycle and transported them from Cardinal Della Costa to the Bishop of Assisi where Jews found sanctuary. Aim: To what extent were the efforts of the Assisi Underground successful in saving Jews during the Holocaust. Information/Content to be covered: During the German occupation, the town of Assisi under the direction of Bishop Nicolini and Father Brunacci established a rescue operation to save Jews. 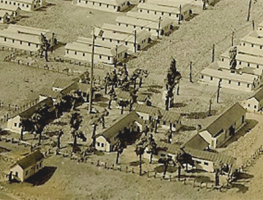 Churches, monasteries, and convents became the safe haven for people fleeing deportation to the death camps. Aim: What factors inspired some people but not all to find the courage to save Jews and others during the Holocaust? Information/Content to be covered: Students will develop a criteria to measure the actions of individuals who had the courage to care, then choose from a list of individuals to research and find evidence to support their Courageous Hall of Fame induction. Students will then present their arguments/evidence to the class for final consideration. Compelling Question: Why did some people help those in need while others ignored their need? Information/Content to be covered: Hatred and indifference are issues that constantly challenge students who are seeking reason for their causes. Students delve into research in order to find answers behind the compelling question. After acquiring skills and knowledge relating to the issue students will be able to complete the summative task. This teaching unit is appropriate for Italian language high school and AP students. It contains three lesson plans that instructors would need three or four periods to cover all parts of the lesson plan. This lesson plan was created by Dr. Annamaria Monaco, Professor of Italian at Suffolk County Community College ("SCCC") and President of the American Association Teachers of Italian Long Island chapter (AATI-LI). Dr Monaco is also the Advisor of the Italian Club and Faculty Leader of the Sorrento/Rome Summer Study Program at SCCC on the Ammerman Campus.